Caracteristics: Colour Straw yellow, with pale green highlights. Mousse A mousse of soft, creamy foam, with a long-lasting perlage of pin-point bubbles. Bouquet Rich and lingering, with nuances of fruit and blossoms over yeast and crusty bread. Palate Clean, full-bodied, with pronounced, appealing fruit and zesty acidity. The proportion of varieties making up the cuvée may vary slightly each year. On average they are: 30% chardonnay Franciacorta, 30% chardonnay Trentino, 30% pinot noir Oltrepò Pavese, and 10% pinot blanc Alto Adige. White grapes will predominate. Cuvée assembled carefully-selected grapes in DOC vineyards in exceptional growing areas of Franciacorta, of Trentino-Alto Adige (with a Berlucchi Press House in Lavis, near Trento), and of the Oltrepò Pavese (Berlucchi Press House in Casteggio, near Pavia). Serving suggestions: Ideal as an aperitif, with all antipasti, but perfect as well with dishes featuring fish, rice, pasta, light meats, full-flavoured fish, and with fresh or medium-aged cheeses. "Wine Enthusiast" has rated the wine "Berlucchi Cuvee Imperiale Brut, Franciacorta DOCG, Italy" on 06.01.2006 with 88 of 100 points. 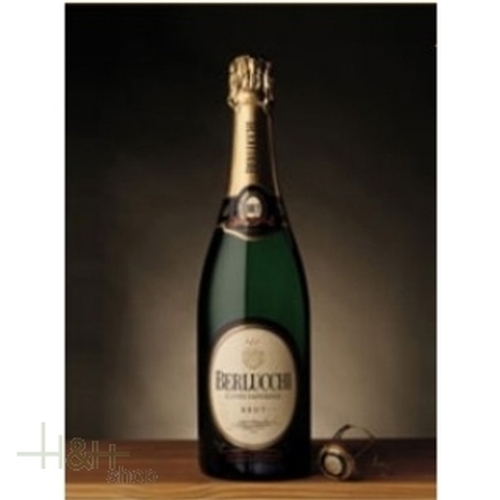 "Vinum Wine Magazine" has rated the wine "Berlucchi Cuvee Imperiale Brut, Franciacorta DOCG, Italy" with 15 of 20 points.